Protection devices for electrical circuits accomplish two main functions namely consistency as well as protection. Protection is assured through detaching power supply in a circuit through overcurrent protection, which removes fire hazards and electrocution. Additionally, the accurate protection may be required to obey with organization principles for some products. Designers must take time to know the different protection devices for circuits. Protection devices used to protect circuits from extreme voltages or currents. This article discusses what is a protection device, and types of protection devices used in electrical and electronic circuits. What is a Protection Device? The circuit protection device is an electrical device used for preventing an unnecessary amount of current otherwise a short circuit. 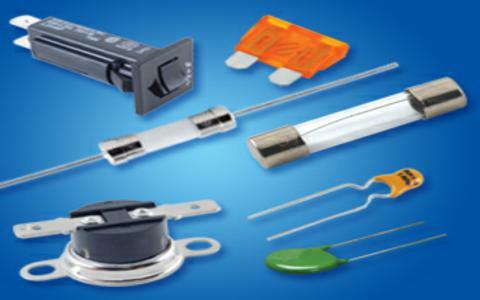 To ensure the highest security, there are many protection devices available in the market which offers you a total range of protection devices for circuits such as a fuse, circuit breakers, RCCB, gas discharge tubes, thyristors, and more. The different types of circuit protection devices examples include the following. In electrical circuits, a fuse is an electrical device used to protect the circuit from overcurrent. It consists of a metal strip that liquefies when the flow of current through it is high. Fuses are essential electrical devices, and there are different types of fuses available in the market today based on specific voltage and current ratings, application, response time, and breaking capacity. A circuit breaker is one kind of electrical switch used to guard an electrical circuit against short circuit otherwise an overload which will cause by excess current supply. 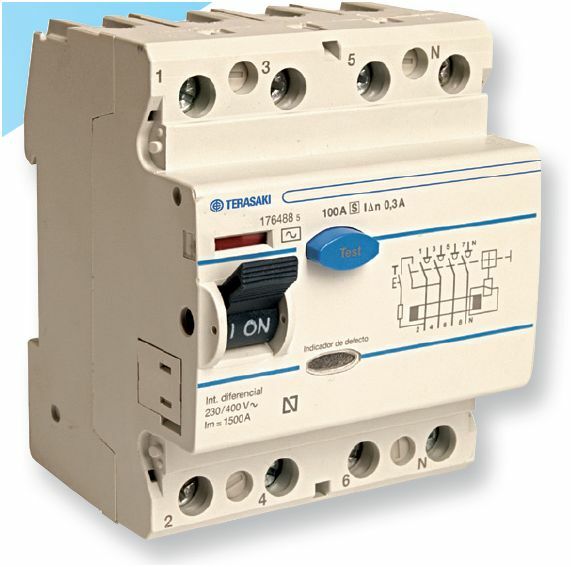 The basic function of a circuit breaker is to stop the flow of current once a fault has occurred. Not like a fuse, a circuit breaker can be operated either automatically or manually to restart regular operation. A resettable fuse is a passive electronic component used for protecting electronic circuits from over-current mistakes. This device is also called as a poly switch or multi fuse or poly fuse. 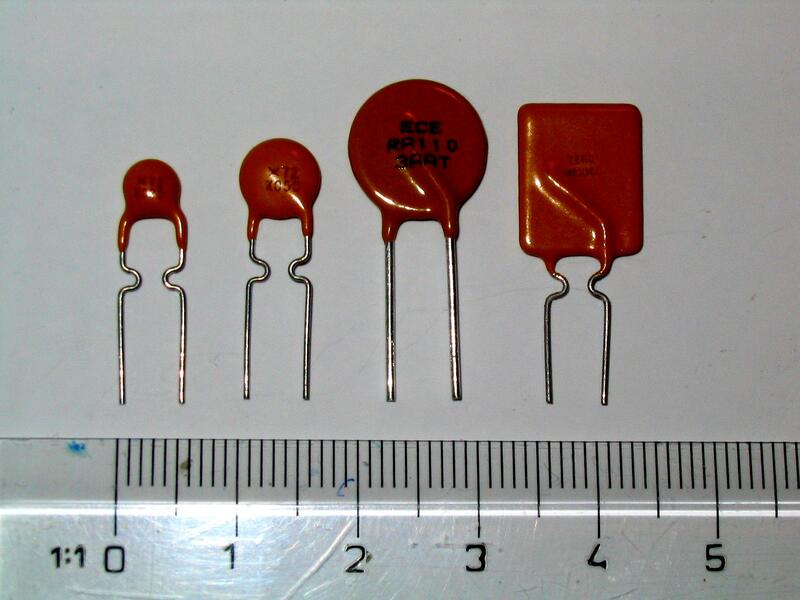 The working of these fuses is same as PTC thermistors in particular situations, however, work on mechanical transforms instead of charge-carrier-effects within semiconductors. Resettable Fuses are used in several applications like power supplies in computers, nuclear or aerospace applications where substitution is not easy. 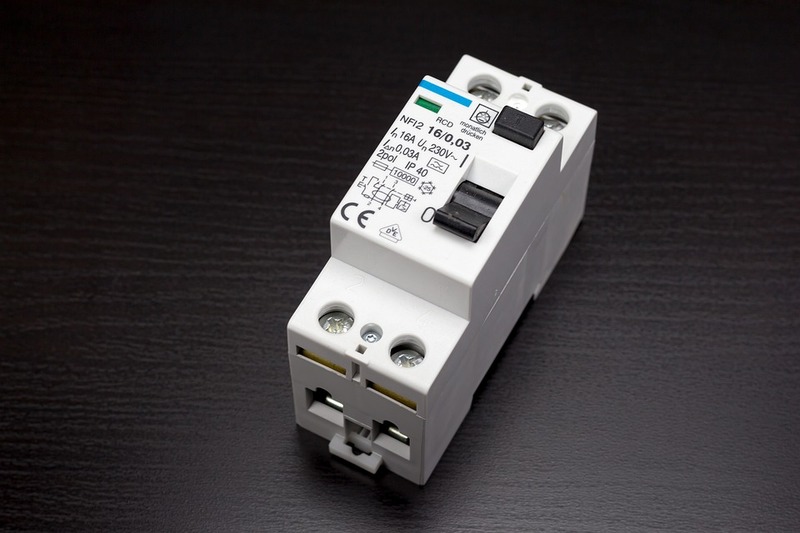 The RCD-residual current device (or) RCCB- residual current circuit breaker is a safety device which notices a problem in your home power supply then turns OFF in 10-15 milliseconds to stop electric shock. A residual current device does not give safety against short circuit or overload in the circuit, so we cannot change a fuse instead of RCD. 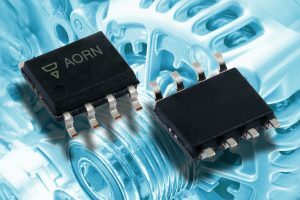 RCDs are frequently incorporated with some type of circuit breaker like an MCB (miniature circuit breaker) or a fuse, which guards against overload current in the circuit. The residual current device also cannot notice a human being due to by mistake touching both conductors at a time. These devices are testable as well as resettable apparatus. A test button securely forms a tiny leakage condition; along with a reset button again connects the conductors after an error state has been cleared. This is one type of electrical a component used to stop inrush current for avoiding regular damage to apparatus and evade tripping circuit breakers and blowing fuses. The best examples of inrush current limiter device are Fixed resistors as well as NTC thermistors. They present a high resistance firstly, which stops huge currents from flowing by turn-on. Because the flow of current will continues, NTC thermistors heat-up, permitting high flow of current throughout normal operation. These thermistors are generally much superior to measurement kind thermistors, which are intentionally planned for power applications. A varistor or VDR (voltage dependent resistor) is an electronic component and the resistance of this is changeable and depends on the applied voltage. The term varistor has been taken from the variable resistor. When the voltage of this component increases then the resistance decreases. In the same way, when an extreme voltage increases then the resistance will decrease significantly. A gas discharge tube or gas-filled tube is a collection of electrodes in a gas inside a temperature resistant envelope and insulating. 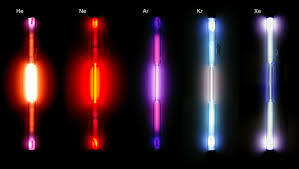 These tubes use phenomena allied to electric discharge within gases, also work through ionizing the gas by an applied voltage enough to reason electrical conduction through the fundamental phenomena of the Townsend expulsion. An expulsion lamp is an electrical device which uses a gas-filled tube such as metal halide lamps, fluorescent lamps, neon lights, and sodium-vapor lamps. Specific gas-filled tubes namely thyratrons, ignitrons, and krytrons are employed as switching devices in various electrical devices. The required voltage to begin and maintain discharge is reliant on the force, geometry of the tube, and composition of the fill gas. Even though the cover is normally glass, power tubes frequently employ ceramics, as well as military tubes frequently employ glass wrinkled metal. The terms Crowbar vs. Clamping is regularly used to explain how overvoltage protection devices work in a temporary event. A crowbar protection device decreases the voltage under the system’s operating voltage. As the impermanent is complete, the crowbar device retunes and lets the circuit to function usually. Throughout a temporary occurrence, a clamping device grasps the voltage just higher than the operating voltage of the system. This device protects an electrical circuit from an ESD (Electrostatic discharge), in order to avoid a breakdown of a device. 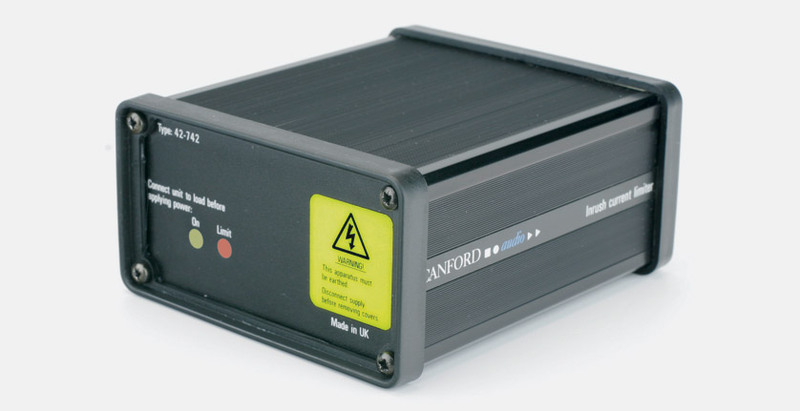 Murata has a wide array of ESD protector devices comprising particular devices very small devices, for high-speed communication, & included noise filters. ESD Protection devices can also be utilized to change Zener diodes (TVS), varistors, as well as suppressors. 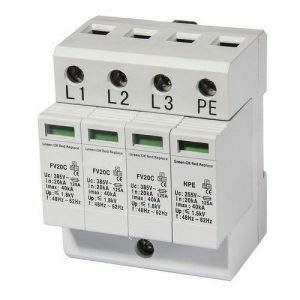 The term SPD stands for Surge Protection Device is one type of component used in an electrical fitting security system. The SPD device is allied in parallel in the power supply circuit, which can be used on all stages of the power supply system. The surge protection device is the most frequently used and also well-organized kind of over-voltage protective devices. This is all about protection device and its types. The protection of the circuit can be done by using different protection devices in an electrical circuit purposely in order to stop extreme amounts of current. To make sure extreme safety, this article gives an overview of circuit protection techniques, namely circuit breakers, ESD protection electronic fuses, gas discharge tubes, thyristors, and many more.